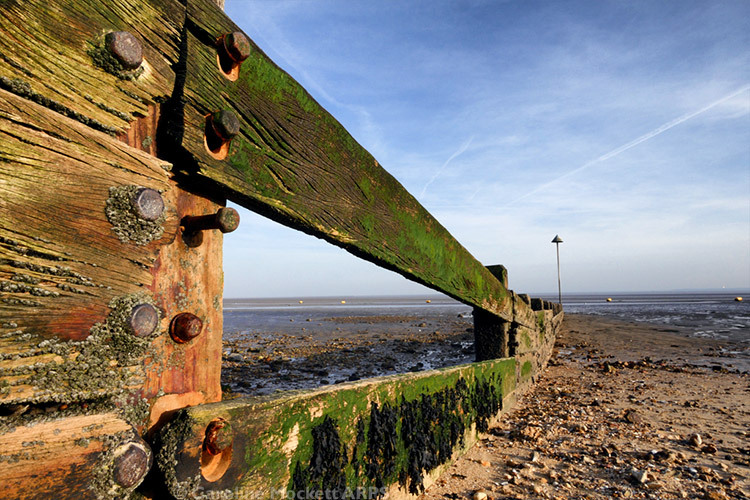 Notes: The sun was out so I hopped in the car and went to Shoeburyness to look for February’s By The Sea image. I had forgotten that some of the beach is MOD land and you can’t get onto it, but having walked a bit further along the promenade, I finally found a bit which wasn’t fenced off. The tide was a long way out, but I liked the way this missing plank provided a view further out. Perfect for Treasure Hunt Theme #2 – February Monthly Project. Notes: It was a gorgeous blue sky day today, although very cold. We took a stroll along the sea shore from Minnis Bay towards Reculver and enjoyed the sunshine. 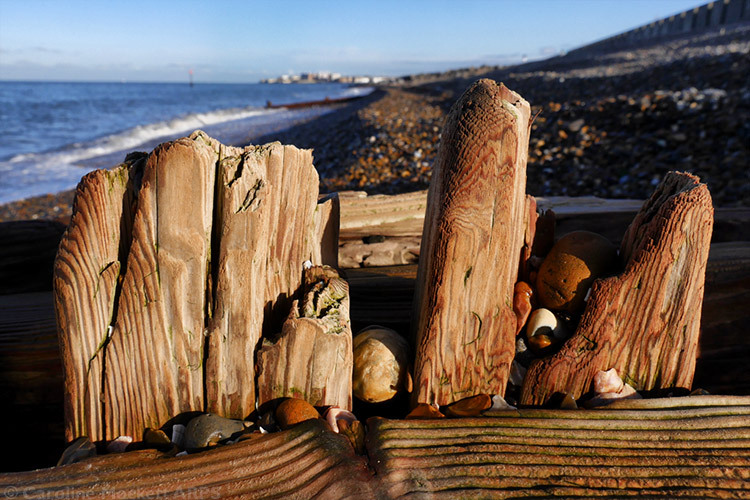 I spotted this fantastically weathered groyne on the way back to the car, and knew it had to be picture of the day. I have decided to make this year’s Monthly Project one where I visit the seaside regularly, so here is Treasure Hunt Theme #01 – January Monthly Project.